A soft, delicate Cocktail worthy of its name. 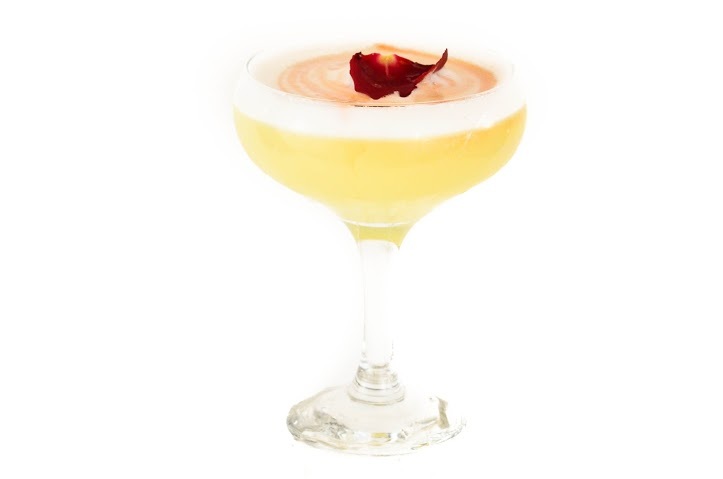 The Egg whites add something 'extra' to the texture and visual appearance of this Cocktail. This Cocktail glass also known as "The Champagne saucer glass" was first created and used widely in the 1930's. Characterized by a tall stem and wide bowl. The Cocktail drinker's nose inhales the aroma, fragrance and bouquet of the cocktail - be it heady or delicate from the expansive bowl. The Coupe Cocktail glass was the original Champagne glass for literally the first half of the 20th century before the Champagne flute became popular in the 1950's and 1960's and subsequently took over as the glass to drink Champagne.